Only well-treated and well-raised livestock can produce the best meat possible. We are so confident in our Turkeys that they are available fresh, air-chilled and never frozen. It takes years to foster solid, lifelong relationships with local farmers. Only trust and integrity are paramount when producing food for your loved ones. At Meaty Meats, we’ve taken the time to make sure that our turkeys meet only the highest standards – yours. What you think is most important to us, and we strive to exceed this goal in all that we do. We never compromise on quality or taste. Our Canadian turkeys are air-chilled immediately so freshness and excellence are untainted. Never water chilled, where water can be retained and dilute the natural flavor of the turkey. We ensure this because we only use accredited and inspected plants to be sure that the most stringent regulations are not only met but exceeded. Our turkey is all-natural – no antibiotics or growth hormones are ever used and it is never fed animal by-products. This is why our turkey’s quality speaks for itself – only the natural flavor and goodness shines through without being masked by preservatives or artificial flavors. Uncompromised quality is what your family deserves – that is why we set our standards so high. It is vital that you get the most flavorful and nutritious product available and be confident serving it to those you love. Great tasting recipes start with the freshest ingredients. 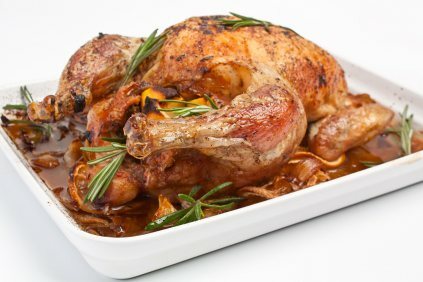 Want to prepare the perfect Turkey? Start with the Meaty Meats Air-Chilled Fresh Turkey and be a star cook in your kitchen by using one of our time-honored recipes by clicking on the recipe.